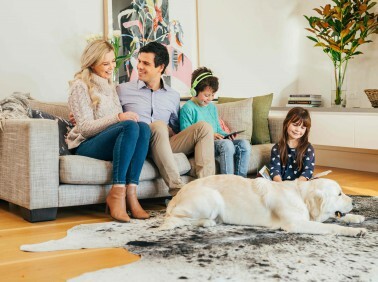 At MyHome Middle Park, we use a state-of-the-art DRY-Touch carpet cleaning process that has the power to leave your carpets walk-on ready in only one hour. Our top-quality Healthguard products can rid your carpets of dangerous bacteria, mould, and fungi. Our professional cleaning system will restore your carpet to its natural beauty and comfort. Best of all, the DRY-Touch method never leaves behind a pungent or chemical smell. Instead, your carpets will have a pleasant lemony smell. Since, our cleaning method doesn’t require the use of heavy chemicals, excess heat, or large amounts of water, it eliminates the risk of stretching or shrinking your carpet. Every DRY-Touch carpet cleaning begins with a professional vacuuming of your carpet. Many homeowners prefer carpet on their floor because it is soft and warm to the touch, which makes it a great option for homes with children or pets. In addition, carpets can help you save money on your energy costs. Homeowners also love the fact that carpet is available in a wide range of designs, styles, and colours, which allows you to customise the floors to match your personal style. One thing homeowners worry about is how to keep their carpets looking like new and smelling great. The solution is easy. Regular professional cleaning will do the trick. 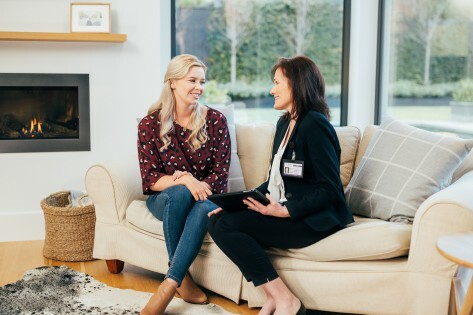 In fact, enlisting the help of a professional carpet cleaning service, like MyHome Carpet Cleaning, can make sure your carpet remains clean, fresh, and looking great for years to come. The professional cleaning system, DRY-Touch Cleaning can maximise your overall investment by extending the life of your carpet and help you avoid the need to replace or repair it. MyHome provides all these great benefits without the need to use massive amounts of water. Instead, you will be able to walk on your carpet in just 60 minutes. At MyHome Middle Park Carpet Cleaning, we are so sure that you will love our services that we offer a 100% customer satisfaction guarantee. That’s right, if you are unhappy with our services the first time, we’ll come back to your home and do it again for FREE! Think all carpet cleaners in Middle Park are the same? Think again. Many carpet cleaning agencies in Middle Park still use the traditional hot-water extraction process. This cleaning method uses hot water mixed with chemicals, which can damage carpet fibres or fabrics. This process also will leave your rugs, carpet, and upholstery wet for hours, or even days, and leave behind an unpleasant chemical odour. When it comes to your carpet, don’t trust just anyone to get the job done right. If you want your carpet professionally clean and restored to its original look and feel, without the risk of excessive water, extreme heat, and dangerous chemicals, call MyHome Middle Park Carpet Cleaning on 13 22 31 or send us an enquiry for a free, no obligation carpet cleaning quote.